Cars of any condition and any make can fetch a great price provided you decide to come to us. We buy all makes and models: right from Toyota, Lexus and Nissan to Honda, Ford and what not! We pay cash for cars in any condition whether they are new or damaged, running fairly well or not. Our nationwide network gets you more than over 5 physical locations, from small towns to big cities. We make it simple for you to get cash for your car in Rockingham. 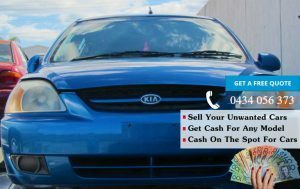 You get your very own personal cash for cars agent who guides you through our quick and easy process. They will also answer any questions that you might have. Our administrators will select a mutually agreed upon pick up time within 24 hours so that your vehicle is picked as early as possible and that too free of charge. Our car wrecker services are constantly functional in Rockingham. We are here to provide you with not only a top-notch tow service, but also to help you 24/7 in case you meet with an accident or breakdown. You can count on our experience as we are the leading car wrecker service providers in the city with 3 years in the business to our credit. With more than 3 trucks and trailers we can easily handle any size tow, manage any recovery, heavy equipment, generator and/or container for you. We ensure 100% customer satisfaction and continue to deliver it. We are the only car wrecker service in Rockingham that is willing to go the extra mile for their customers. Rest assured, your unwanted vehicle will get disposed off in an eco-friendly manner. Car recycling, car parts reusing all the alternates are considered. If you’re looking for a dependable junk car removal service in Rockingham, then you’re at the right place. This is the one online platform where you get high cash value for your used cars and trucks. It doesn’t matter what make and model they are, you can become a part of one of the fastest growing vehicle buying networks in the country. We cater to all kinds of vehicles and wreckage issues. 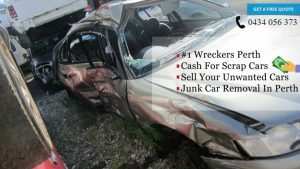 We buy used, damaged, and also junk cars and trucks. When you sell your car to us for cash for cars Perth, you get free car removals Perth services from us. We are the best car buyers you can contact in Rockingham. With us you will never have to worry about rates, or safety concerns or transportation charges. We avoid all time-consuming procedures and ensure absolute peace of mind for our clients. Our procedures are convenient and response is always prompt. Our car removal service in Rockingham is known for timely transportation, and quick payment methods. Contact us today to sell your unwanted car at the best price.